Hillary Clinton and Donald Trump will face off for their first presidential debate on Monday, September 26, in what is expected to be one of the most widely watched presidential debates since the 1980 debate between Jimmy Carter and Ronald Reagan. The event, which will take place at Hofstra University in Hempstead, New York, will cover three main topics: America’s direction, achieving prosperity and securing America. In addition to airing live at 9 p.m. 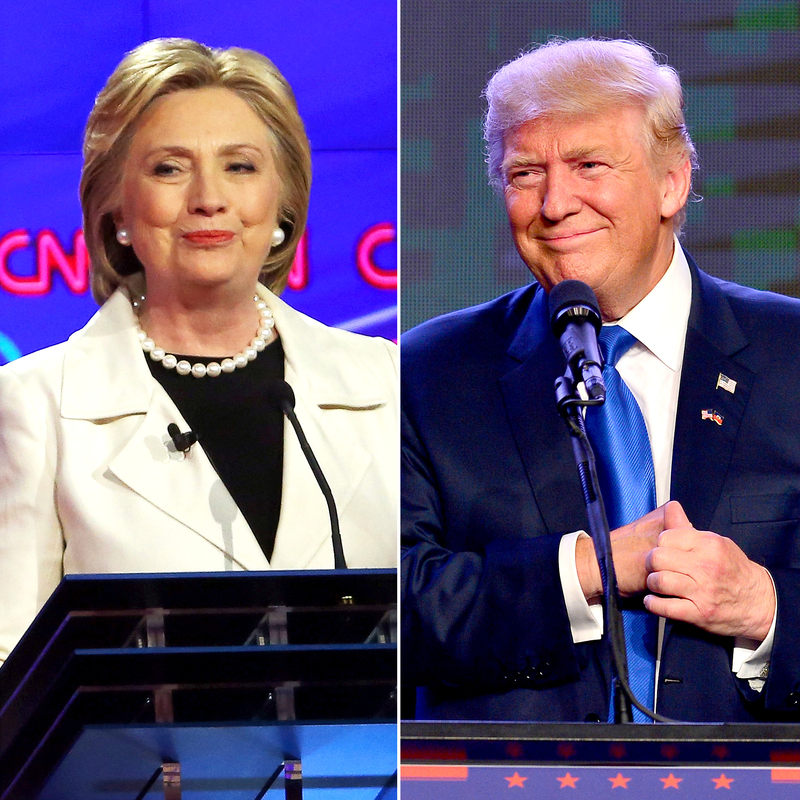 ET on all major cable and broadcast networks — including CNN, Fox News, ABC, NBC, CBS, MSNBC and C-Span — the debate will also be live-streamed on Facebook and ABCNews.com. Us Weekly will be live-blogging the debate. Here, we&apos;ve rounded up five things you should know prior to the much-anticipated event. 1. Lester Holt will moderate. The NBC News veteran will helm the discussion and kick off the night with a question to Clinton, 68. The Democratic presidential nominee will have two minutes to respond before Trump, 70, can jump in with his own answer. “Lester is not going to be a potted plant,” one NBC staffer told CNN of how Holt will hold court between the two candidates. 2. Holt is the first black journalist to moderate a presidential debate since 1992. The last black moderator of a general election debate was Carole Simpson in 1992; Bernard Shaw moderated the VP debate in 2000. Despite what Trump said earlier this month about the news anchor being a Democrat, Holt is registered as a Republican in the state of New York. 3. Trump and Clinton are preparing differently. According to The New York Times, Clinton has a “thick dossier” on her opponent that not only analyzes his stances on various social and political issues but also takes note of his “psychological makeup.” Trump, on the other hand, is aiming to use his unpredictability to undercut Clinton, according to CNN. 5. Trump’s team denied inviting Flowers to attend. In a statement to CNN, the real estate mogul’s campaign manager said that they have not formally invited the model and actress to the debate “and we do not expect her to be there as a guest of the Trump campaign.” Trump’s vice presidential running partner, Mike Pence, told Fox News Sunday host Chris Wallace that Trump was only “mocking” the Clinton campaign.